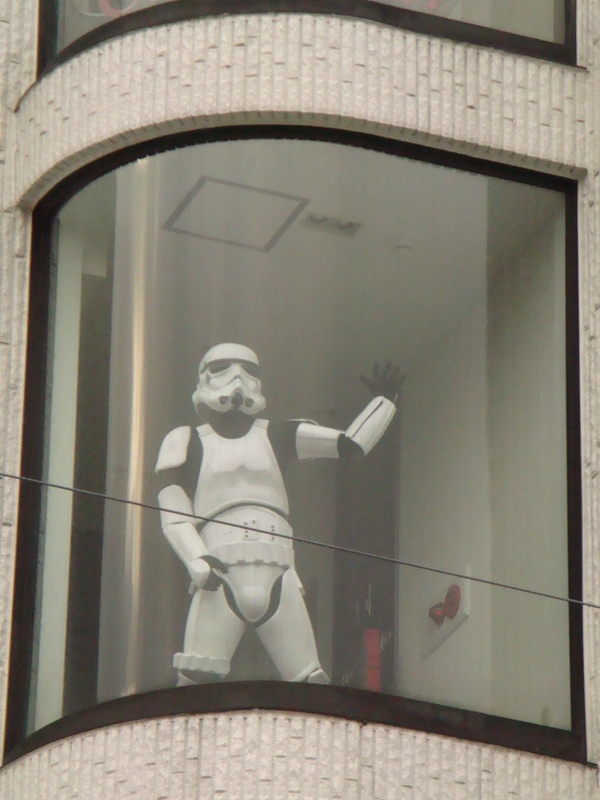 This blog project to post is really helping me to see and appreciate more of what is around me. Today I decided to try looking up more and this is what I saw on my walk. It’s not a great picture. Some of that has to do with the cloud cover and the rest is my camera. (This post-a-day project has also caused me to get a little frustrated with my camera.) 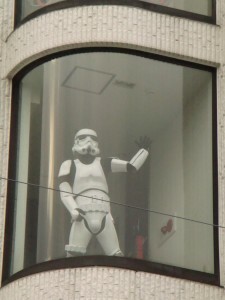 Anyway, I have no idea why this life size storm trooper figure is standing in this window.